One need not be Buddhist or of a particular lineage to know that listening attentively and carefully to instructions is necessary to learn any skill or to fully take-in new information. This is so whether learning to drive, learning ethnic cooking, or raising a child. Listening is imperative in relationships and in a clear and true relation with one’s self. This meditation is more of a contemplation on the kindness, wisdom, and generosity than a meditation. It focuses on that which we have received lifetime upon lifetime, including the current one. My meditation is always deepened and purified when I begin the sitting with gratitude for the instructions and care that I have received from all my teachers of the past. Their instructions are present now in my daily practice and its illuminations. Because of their kindness and generous spirit, I can meditate, and their tutelage is with me off the cushion just as vibrantly as on. Gratitude serves one’s practice very well. And, if one is stirred by the purifying fires of devotion to a teacher or teachers, one will be well served also. 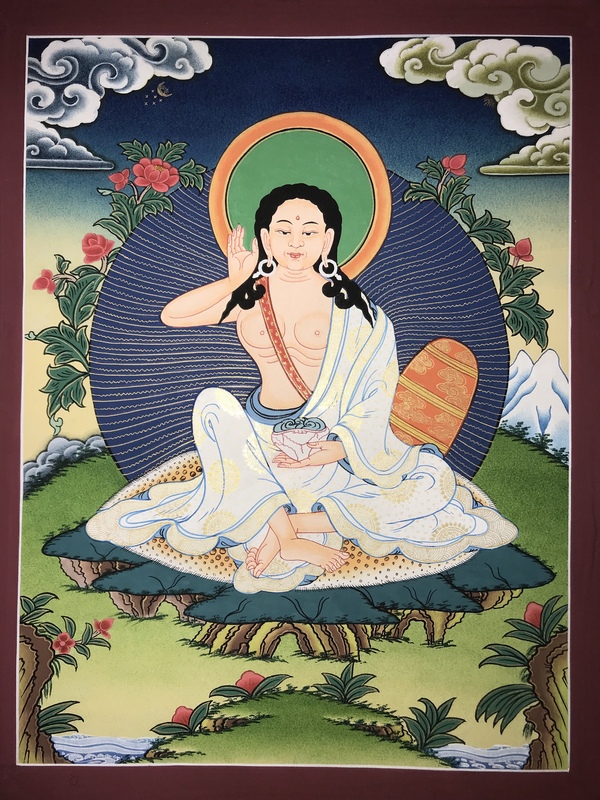 This entry was posted in Mahayana, Meditations and tagged ear whispered lineage, Milarepa. Bookmark the permalink.